Let's talk about protein. The body DOES have daily minimum requirements for protein in order to maintain or increase your lean body mass. The amount of dietary protein your body requires will vary depending on how active you are, how much muscle currently have, and if you are trying to maintain or build muscle. We know that for most adults if you don't eat at least 30 grams of protein a day, your body will cannibalize the muscle you already have on your body in order to fuel its daily needs. So, you want to eat more than that. So the question is HOW much more than 30g/day is optimal? There are a lot of opinions about exactly what ratio calculation is optimal to maintain or gain lean muscle. Add in the confusing and contradictory messages about how eating TOO MUCH protein can be detrimental to staying in fat burning mode & cause long-term negative health effects can leave you wondering whether you should be restricting protein. 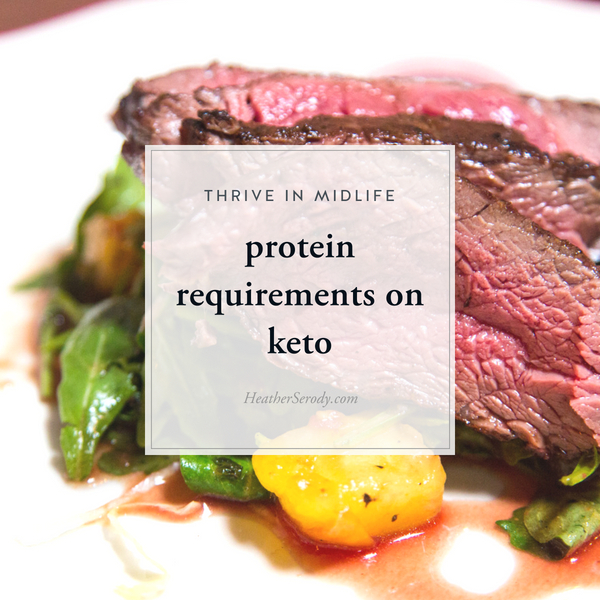 There have been no studies that show excess protein consumption in reasonable amounts significantly hinders nutritional ketosis (burning fat for fuel). So my advice is to stop worrying if that pork chop is gonna turn to blood sugar. The body's conversion of protein to glucose is a process that happens naturally and is physiologically driven, rather than in response to what is being eaten. Instead, my advice is to always focus on hitting your optimal protein requirements daily. The more lean body mass you have in comparison to body fat, the higher levels of health & wellness you will experience! It is not recommended to drop below 0.69 or muscle loss may occur. You can find your lean body mass by using a smart scale that will tell you your body fat percentage. If you don't have a scale, you can guess by comparing how your body looks to photos of people with a range of different body fat. Just Google ‘visually estimate body fat,' to find examples. Questions about protein? Leave them in the comments.